Python is a high-level programming language for interpreted, object-oriented, and dynamic data types. Python was invented by Guido van Rossum at the end of 1989, and the first public release was released in 1991. 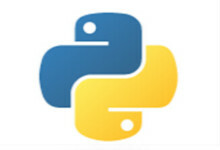 This tutorial is for developers who want to learn the Python programming language from scratch. Of course, this tutorial will also go deep into some modules to give you a better understanding of Python applications. Before continuing with this tutorial, you should understand some basic computer programming terminology. If you have studied PHP, ASP and other programming languages, it will help you to understand Python programming faster.